This evening the first Berlin ignite event took place in the "Festsaal" in Berlin X-Berg. Organiser of the event was Matt Biddulph from Nokia Gate 5. We had eleven fantastic talks (ok, to be more precise: At least ten fantastic ones, my own can only be judged by the audience ;) ). Topics included things you can learn when starting to collect data, themes from (agile) project management, RepRap machines (see also the Rep Rap FOSDEM 2010 talk), bots and robots. The talks finished with a presentation of a Part time scientist's vision of getting to the moon - an article on the project is available on heise newsticker. The room was filled with more then 120 people resulting in a location packed with interested attendees. It was great seeing the talks on such diverse topics. Hope to have more events of this format here in Berlin. Thanks go to Matt, all speakers and everyone involved in generally making the event a big success. For those who didn't make it to the event, slides and audio should go online soon. 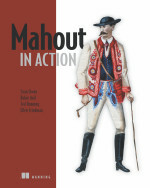 At least the slides on Mahout are available online. Today first talks scheduled for ignite Berlin were published. If you yourself would like to give a talk: Submission seems to still be open. The final schedule of FOSDEM 2010 is up: Looks like bad news - 306 interesting talks within just one weekend. Lots of interesting talks in the main track including Greg Kroah-Hartman on "Write and Submit your first Linux kernel Patch", David Recordon from Facebook on "Scaling Facebook with OpenSource tools", Bernard Li on "Ganglia: 10 years of monitoring clusters and grids", Andrew Tanenbaum with his "MINIX 3: a Modular, Self-Healing POSIX-compatible Operating System" talk, Benoît Chesneau on "CouchDB! REST and Database!" and many, many more. Looks like a weekend packed with interesting talks and discussions. If you are going there and are interested in an ad-hoc Hadoop-Beer-drinking meetup, make sure to contact me before the event. Sean, Robin, keep up the great work! I would love to read more of the book in the near future.